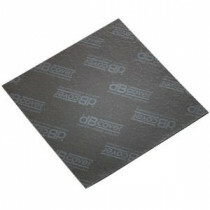 Buy online dBcover LVT 3/50 in. Thick 59 lb. Density Luxury Underlayment 150582530-60 and leave review or share with Your friends. The dBcover LVT is a superior scientifically designed underlay for luxury vinyl tile and vinyl plank applications. Made of a premium high density rubber and natural acoustic sand, the dBcover LVT Underlay is an excellent insulator, sound reducer, and leveling agent for both commercial and residential use. This product can be installed above dry and completely cured concrete, interior plywood, gypsum board, cement backer units, orientated strand board, and existing vinyl, wood, laminate, or ceramic floors.